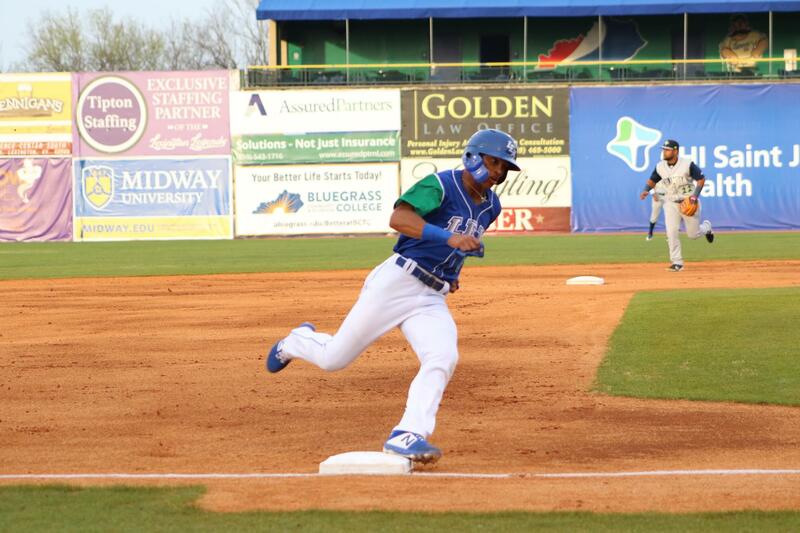 The Lexington Legends took a decisive game one victory over the Columbia Fireflies 14-3. The Legends hit eight doubles, two triples and one home run off the Fireflies. The 11 extra base hits are the most that Columbia has ever allowed in a single game. The Fireflies were first to strike in the top of the first inning. Anthony Dirocie drew a leadoff walk then advanced to second on a wild pitch. Dirocie then scored on a ground out by Chandler Avant and the Fireflies were on the board, 1-0. Lexington answered in the bottom of the same inning. Michael Gigliotti lined a leadoff double to right field then was brought home by the next batter, Nathan Eaton. He sent an RBI double to the left field corner, scoring Gigliotti and the game was tied 1-1. In the bottom of the third, Gigliotti hit a one-out single to right field then scored on an RBI double by Eric Cole. Cole then came around to score on an RBI double by Freddy Fermin. Lexington led 3-1 after the third. In the fourth, Juan Carlos Negret led off with a double, but then the Fireflies recorded two outs. Rubendy Jaquez lined an RBI double down the left field line and Negret was able to score. Gigliotti then singled home Jaquez and stole second and third base. Nathan Eaton blasted an RBI triple to centerfield and the Legends led 6-1. Brian Sharp led off the fifth inning with a solo homer to left field to cut into Lexington’s lead, 6-2. The Legends answered in the bottom of the fifth. Freddy Fermin led off with a single then scored on an RBI triple to deep centerfield by Chase Vallot. The Fireflies were then able to sit down the next two batters. 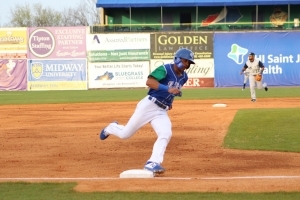 Jeison Guzman then lined a hard RBI double down the left field line, bringing Fermin home and Lexington led 8-2. In the bottom of the sixth, Gigliotti led off with his fourth hit of the game. He doubled to left field then scored on an RBI single by Freddy Fermin. Gigliotti’s four hits was a single game career high for the centerfielder. In the bottom of the seventh, Negret drew a lead-off walk then moved to second on a groundout by Reed Rohlman. Negret then advanced to third on a wild pitch by Bryce Hutchinson. Guzman grounded out to the third baseman, but Negret was able to score and the Legends led 10-2. The Fireflies scored their final run in the top of the eighth inning. Zach Rheams doubled to right field then was brought home on an RBI double by Anthony Dirocie, cutting Lexington’s lead to 10-3. In the bottom of the eighth, Gigliotti drew the lead off walk then moved to second on a single to right field by Eaton. Gigliotti then scored on a wild pitch by Garrison Bryant while Eaton moved to third. Fermin reached on a fielder’s choice, bringing home Eaton. Chase Vallot stepped up and hit a two-run bomb to right field and the Legends took the victory, 14-3. Zach Haake was awarded the victory tossing 5.0 innings allowing two runs (one earned) on one hit while walking three and striking out six. Jose Butto was given the loss throwing 4.0 innings allowing six runs on nine hits while striking out five. The Legends and Fireflies face off again tonight at 7:05pm. LHP Kris Bubic (0-0, 7.20 ERA) will be on the mound for the Legends to face Columbia’s RHP Jaison Vilera (0-0, 3.60 ERA).